For anyone with a passion for playing golf, owning a home in a golf course community is a dream-come-true. Golf course homes in Central Indiana combine the joy of playing golf with the conveninece and practicality of living right at the course. Oh, and did we mention the amazing views? Looking out the window of your home at a gorgeous expanse of meticulously manicured landscaping is not a bad way to start the day--that, and a cup of coffee. Owning a home on the course is more than just a home, it is a lifestyle, and an uncommon one at that. 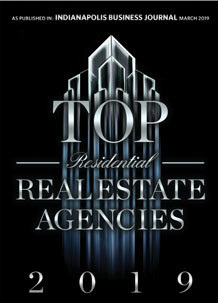 M.S.WOODS REAL ESTATE, LLC is the authority on golf course communities in the Central Indiana area. Click on any of the photos and links below to find homes for sale in a particular golf community, or use our interactive map tool to search all golf course homes for sale in the greater Indianapolis area. Never miss a new golf-course home in Central Indiana! Central Indiana is home to several gorgeous golf courses. Golf Club of Indiana, for example, sits on 175 wooded acres in southern Boone County just outside of Zionsville. The course features water on 15 holes, 72 bunkers and championship tees of more than 7,000 yards. Bridgewater Club homes for sale come with many advantages, including a private club setting in a refined community of like-minded golf lovers. These Carmel homes come in a variety of styles, like townhomes, golf villas and traditional custom homes. Brookshire Golf Club real estate comes with access to a course that made Golf Digest's list of "Best Places to Play" 2008-2009. This championship-caliber course, designed by famed Carmel architect William Diddel, has subtle slopes and tall trees. Crooked Stick Golf Club homes benefit from being located on a course that has hosted the PGA Championship and U.S. Senior Open to name a few. What's more, this Carmel, Indiana course has been consistently regarded as one of the nation's top-100. Fox Prairie Golf Course homes are located in Noblesville, Indiana. This golf course boasts 27 championship-caliber holes of golf. Built in 1970, this is a well established, traditional course with rolling terrain and large greens. You'll love these homes. Gray Eagle Golf Club homes are located in Fishers, near 126th Street and I-69. The Gray Eagle course is offers 18 holes of golf, three state-of-the-art simulators and a fully-stocked pro shop to name a few. Homes at this course are always in-demand. Harbour Tree Golf Club properties have the dual advantage of being located in a golf community that is also a lake community. This championship course is on the north harbor of Morse Lake, and is one of the most sought-after areas in Hamilton County. Ironwood Golf Course houses are located in Fishers, Indiana, just south of Lake Stonebridge. This course actually consists of three different 9-hole courses. PGA staff are available. This is a wonderful golf community and a great place to unwind and relax. Ironwood Windermere Golf Course homes are located in this sought-after area, right at Geist Lake in the Indianapolis/Fishers area. Golfers will love the large greens and meticulously crafted course. Homes in this community don't stay on the market long! Living in Legends West means low maintenance, exclusivity and relaxation. This cottage-living community in Franklin, Indiana, features unique exteriors and great views of the course. Located just north of downtown Franklin, Legends West is close to shopping, dining, and the Franklin County schools. Pebble Brook Golf Course properties are located in Westfield, Indiana, just southwest of the Morse Resevoire. This 36-hole course, designed in 1990 by legendary course architect Ron Kern, offers bent grass fairways and amazing greens. Plum Creek Golf Club homes are located at 126th Street and River Road in Carmel, Indiana. This semi-private, par-72 course, designed by Pete Dye, has hosted to several championships. It has beautiful water features, bent grasses and large greens. River Glen Golf Course real estate runs along side the White River in Fishers, Indiana. This amazing course features mature trees and and was designed by Gary Kern to integrate into the natural features of the land. Homes at this course are very nice. Sagamore Golf Club and Community properties are located on a course designed by golf legend, Jack Nicklaus. This private, championship caliber golf community is nothing short of spectacular. It's located in Noblesville, next to Valley Forge Lake. 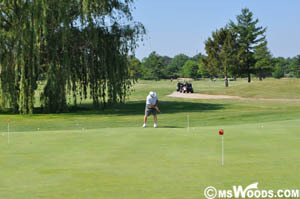 Sahm Golf Course real estate is conveniently located on the northeast side of Indianapolis. This 18-hole course was designed by the famed Alice and Pete Dye. Huge, mature trees and well manicured greens make playing at this course a real joy. Homes at the Hawthorns Golf Country Club are located in the highly desireable Geist Lake area, which means they don't stay on the market long. This amazing Fishers golf community features a championship, 18-hole course designed by Arthur Hills. Twin Lakes Golf Course houses are located in Carmel, Indiana, just north of 96th Street and Shelbourne Road. This private, members-only course features some of the best golf you'll find in the area. Demand for homes at Twinlakes Golf Course is strong. Woodland Country Club homes are located in Carmel, Indiana at the intersection of Keystone Parkway and 116th Street, just opposite Lake Woodland. This 18-hole, championship course underwent a series of recent rennovations by Pete Dye.